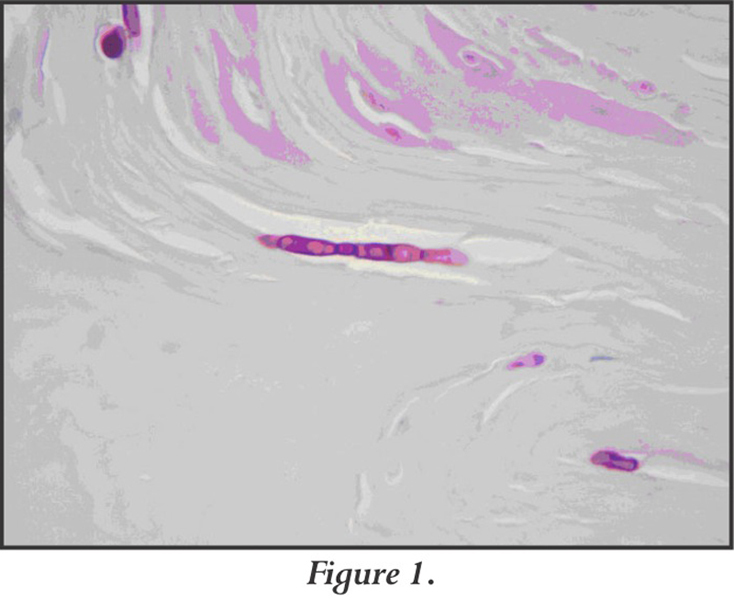 The PAS stain is a special histological technique utilized by most pathology laboratories for routine diagnostic purposes. Its utility in podiatric medicine is well established, with the primary application being the identification of fungal elements in toenails, skin, and deep tissues. Other techniques using microscopy available for fungal identification in toenails/fingernails include the potassium hydroxide (KOH) preparation, a technique requiring immediate evaluation after scraping. Although culture was long considered the gold standard, the PAS stain has been shown to be a sensitive method for the diagnosis of onychomycosis. PAS (Periodic Acid Schiff) works through the oxidation of glycol groups by periodic acid to form dialdehydes, which combine with Schiff’s reagent to form an insoluble magenta compound, seen as a beautiful rose-colored reaction on a glass slide (Figure 1). Substances rich in glycol groups include polysaccharides, basement membrane material, and mucosubstances. The normally colorless fungi possess abundant carbohydrates in their cell walls and, therefore, the PAS reaction is an effective means to highlight fungal hyphae within tissue (Figure 1). 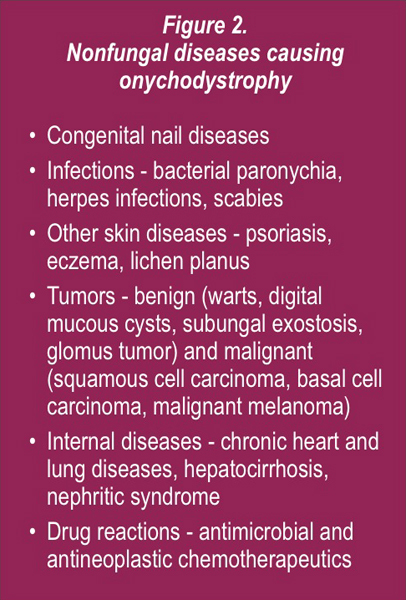 Abnormal nails can be caused by a variety of underlying diseases other than fungi (Figure 2), including nonfungal infections, various inflammatory dermatologic diseases of the nail unit, and tumors. Changes in nails can also be a sign of systemic diseases; they can occur secondarily to systemic drug use and many other ill-defined factors or rare conditions. The term onychodystophy generically refers to this group of abnormalities, and dyschromia refers descriptively only to changes in nail color (Figure 3). Onychomycosis is a generic term for any fungal infection of the nails. Sixty percent are attributed to yeasts/molds, particularly Candida albicans. Candida infections, however, usually involve the nails (paronychia) only as a secondary reaction to a primary fungal infection of the surrounding skin or soft tissue, especially on the feet. Principle dermatophytes other than Candida are Trichphyton rubrum and Trichophyton mentagrophytes var. interdigitable. The fungal elements reside mostly in the deeper portions of the nail plate and in the hyperkeratotic nail bed, rather than on the surface of the nail plate. This would explain possible negative results obtained on KOH scrapings in some cases of onychomycosis. Effective oral medications for onychomycosis are available; however, they are not cheap, and they require several weeks of treatment. Side effects of oral anti-fungal drugs must be monitored with blood tests. Therefore, a sensitive and specific test is needed to avoid overtreating noninfectious causes of nail abnormalities. Moreover, some payers now require documentation of fungal infection prior to approving payment for these medications. Numerous studies have compared the diagnostic strength of the three most widely used tests: biopsy/PAS, KOH and culture. Although there is some variability in the data, the biopsy/PAS test was uniformly the most sensitive single test for the diagnosis of onychomycosis. Sensitivities ranged from 80.8% to 93.3%. The sensitivity of KOH and culture were in the 76.5% to 82.5% and 44% to 59% range, respectively. Specificity was addressed in one study with both KOH and biopsy/PAS showing 72% specificity, while culture was slightly more specific at 82%. It must be stated, however, that such comparisons may over-estimate the specificity of culture because of the false assumption that all organisms isolated in culture are disease-causing, as opposed to possible contaminates. Sometimes, pathologists choose to use a silver impregnation stain (Gomori methenamine silver stain) either in conjunction with or instead of PAS. Often the difference is only preferential; both are equally sensitive and provide very similar results. In summary, the PAS stain is clearly indicated if other diagnostic methods are negative and the clinical suspicion for infection is high. Moreover, it can arguably be used as the single method of choice for the evaluation of onychomycosis. Nail clippings should be submitted dry in an empty specimen container and the turn-around time is that of a typical tissue biopsy (usually within than 48 hours following tissue receipt in laboratory). Weedon D. Dermatophyte infections. In: Skin Pathology. Harcourt Publishers 1998: 557. 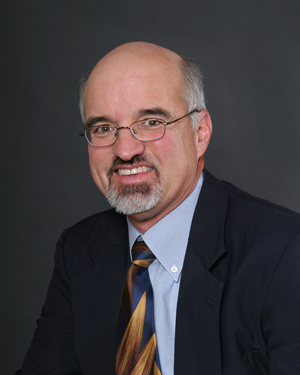 Weinberg JM, Koestenblatt EK, Najarian L. Comparison of diagnostic methods in the evaluation of onychomycosis. Am Acad Dermatol 2003;49:193-197. Karimzadegan-Nia M, Mir-Amin-Mohammadi A, Bouzari N, Firooz A. 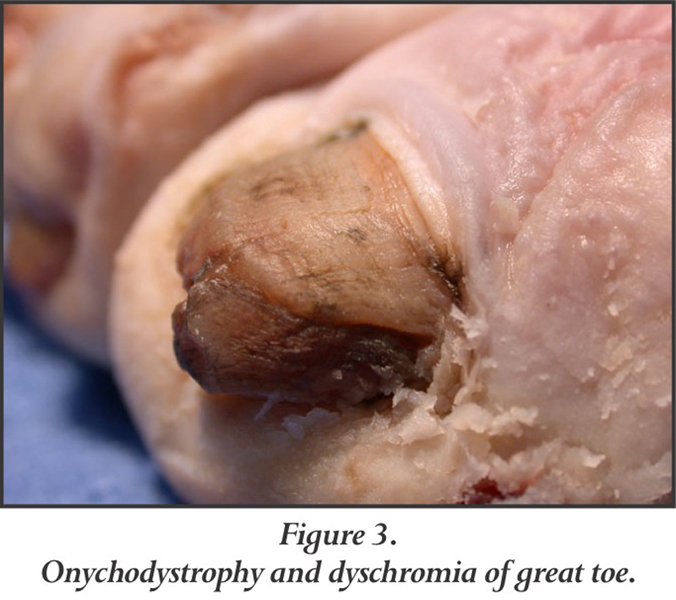 Comparison of direct smear, culture and histology for the diagnosis of onychomycosis. Aust J Dermatol 2007;48:18-21. Grover C, Reddy BS, Chaturvedi KU. Onychomycosis and the diagnostic significance of nail biopsy. J Dermatol 2003;30(2):116-22.